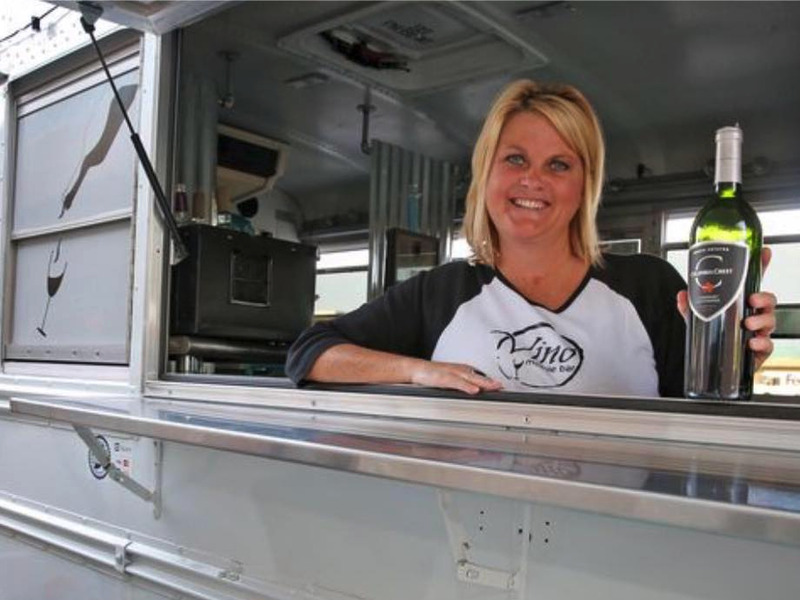 A mother from Carmel, Indiana, just opened up the state’s first mobile wine bar, Vino Mobile Bar. More lovingly known as “Vinny,” the travelling booze stop will be trekking through the state of Indiana this summer to offer its bartending services at various events. The creator, Jenn Kampmeier, 42, describes herself as a serial “mompreneur.” She conceived of the idea two years ago, but it wasn’t until this past May that Kampmeier and her fiancé Mitchell Aaron decided to put their plan into action. The couple bought an old school bus and transformed into a chic, travelling bar. Since then, the demand for its services has skyrocketed. Rather than pairing up with a specific winery or brewery, Kampmeier’s wine truck is unique because she directly works with local distributors to handpick her wine selections. Depending on the event, Vino Mobile Bar will typically have a range of five to eight kinds of wine on its list.